WSU favored by 13.5. Nothing mysterious here. 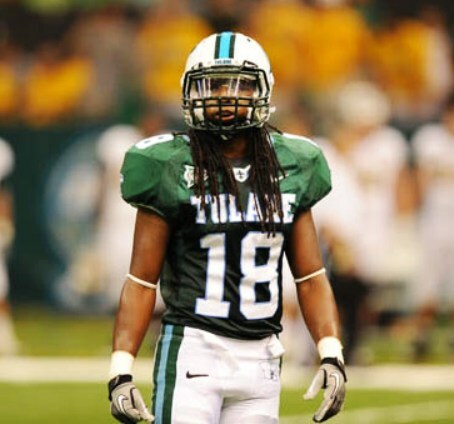 Tulane has to manage TOs and shoot reasonably well to be competitive. We'll see. View in Shocker territory, can we surprise them with fewer turnovers? We just continue to be so fundamentally bad on defense and don’t take care of the ball on offense. Crabtree had a good night which was good to see. Ok, TULANE twitter account had it 77-62 Tulane winning. I see the actual score was WSU 77, Tulane 62. Down 6 at half; didn't score for the first 6 minutes of the 2nd half. It was on ESPNU, it’s over, Tulane loses. For a little glimmer of positive news on the “locals caring” front, we took my older daughter to a concert at the smoothie king center and in the bar area every TV had the game on. Forcing children to watch a 4-18 basketball team might be considered child abuse. The agreemement allowing me to watch Tulane basketball in exchange for the kids watching Peppa Pig is really starting to take a mental toll on me. I previously wanted to kill that darn pig and her friends. Now I’m wondering if any of them have any college eligibility left and are willing to take a charge. I meant that was the second time today (yesterday) that someone said the same thing that I had said. Like, "is this mic on?" same old same old. Too many turnovers, meh shooting and no defense. I may have missed it but I don't think I saw a single defender even try to take a charge. As usual Tulane gave up a lot of ole layups. Because of foul trouble and whatever, Zhang was a non-factor for the first 30 minutes of the game. If MD wants to shake things up, he might as well leave his preferred players in the game in the first half if they commit two fouls. See what happens. Saving them for the second half isn't working either. At this point I'd take Emily Elephant and Kylie Kangaroo. This was worse. It was Panic at the Disco. Where did we get Barrett from? Just asking.